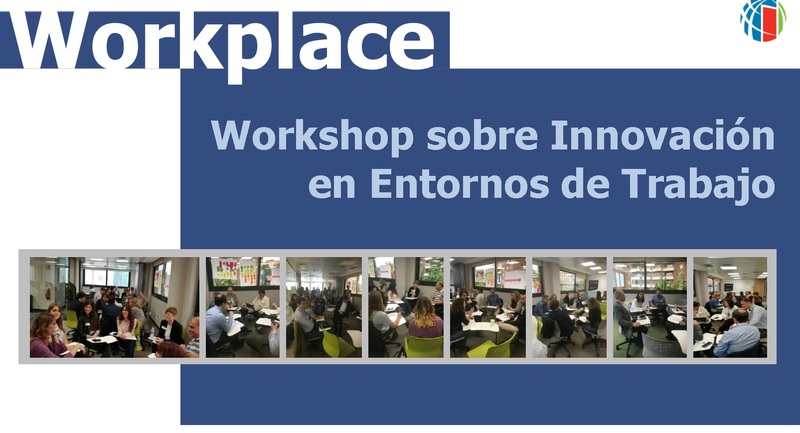 On June 8, the Workshop on Innovation in Workplace was held, prepared by the Workplace Work Group of the Research Commission of IFMA Spain. In the workshop, which counted with the participation of Ineria Management, a series of experts participated in the subject, with different professional profiles and with enormous experience and dedication in this area. The workplace is becoming a more strategic aspect for organizations, which helps to define the alignment of the members of the organization and the organizational culture. The reasons for a change of offices in a company include, in addition to purely economic, others related to new forms of work, the new and changing needs of organizations and their employees, the impact of millennials, the implementation and use of technologies, business culture or the greater need for loyalty and talent attraction. The design of the new workspaces must include the aspects that have to do with the culture of the organization, comfort and well-being, and must be flexible and inclusive. The physical aspects to be taken into account in the workplace (ergonomics) are very important. But, in addition, the psychological approach comes into play, since health is a complete state of physical, mental and emotional well-being. Some of the technical aspects that we can control to improve comfort are: Lighting (circadian approach, to accompany the cycles of our physiological activity), temperature, humidity and air quality, acoustics, visual privacy, control of odors, ventilation, cleanliness and order, individual and group living spaces, spaces to change the environment (as a resting area, a space that allows “disconnect”), to be within reach of workers healthy eating, incorporate plants and other natural elements such as sounds, colors or fractal geometries, incorporate artistic and inspiring elements. For employees and users, because they improve their physical and mental health, improve their performance and promote a healthy lifestyle. For the tenant, because it allows him to monitor the parameters for making improvement decisions and change management, he obtains enormous benefits for improving productivity and creative capacity and for greater employee retention and loyalty. It also allows you to develop a better marketing and communication argument and helps you to build brand and differentiate yourself. For the owner, because it allows him to attract and retain more “quality” tenants, maximize his occupation rates, improve the relationship with shareholders and stakeholders, improve his marketing and communication narrative and help him build a brand and differentiate himself. In the future, great changes are expected in the workplace, in the services that will be demanded and in the management of them: flexibility will be the key value. The multifunctional spaces, supported by new technologies, will have to be reinforced. The technology will become increasingly present (connectivity, Virtual Reality and Augmented Reality and Artificial Intelligence). Remote work will be accentuated, reducing the need for fixed space. All this will involve a new management of services, including: the management of people in the use of technologies, the management of non-physical equipment, information security solutions, environmental improvement services and health-related services. well-being in this flexible environment. The workplace will be equipped with the BMS (Building Management System) and the IWMS (Integrated Workplace Management System), but also Collaboration Systems will be implemented to help us interact with colleagues and teams at a distance. The Big Data will help to anticipate the needs of users: The rooms of visits, meetings, jobs, learn from users and through technology will provide the necessary tools for each user to work according to their needs.